Brisbane is the capital of the Sunshine State of Queensland. The city lies in the heart of one of the most diverse and popular holiday regions in Australia. Brisbane provides a cosmopolitan city experience, ideal for exploring all your favorite interests whether it be the arts, shopping or fine dining. Visit our attractions, meet the local wildlife or take a tour of the sights and a cruise along the river. Our wide range of Brisbane accommodation, Brisbane City Accommodation, Kangaroo Point Accommodation, North Stradbroke Island Accommodation, Scarborough Accommodation, Springfield Lakes Accommodation, You'll have plenty of opportunities to shop till you drop while staying in our Brisbane hotels. First stop, the Queen Street Mall, with its large variety of designer boutiques and department stores, then onto Fortitude Valley shopping precincts including Brunswick St Mall, Ann St, James St and the Emporium complex. If you are into bohemium style, check out the boutiques, book stores and second hand stores of West End. Or visit one of the many weekend markets held at Riverside, King George Square, South Bank and Fortitude Valley. It is easy to treat your taste buds, while staying in our Brisbane accommodation, as the city has a large number of resturants and cafes scattered throughout the city, serving a wide variety of food styles. Sure, the best seafood platters are available in Brisbane, but so are al fresco dining and fine cuisine; with a vast array of restaurants and sidewalk cafes making their way from the inner city through to the tranquil sights and sounds of South Bank Parklands, not to mention the rich cosmopolitan atmosphere of West End, Fortitude Valley and Chinatown. Stay in our Fortitude Valley accommodation to be in the middle of Brisbane's most popular night spot. Our Brisbane CBD accommodation makes a great base for exploring South Bank Parklands, which was the former World Expo 88 site. Stretching one kilometre along the Brisbane River with views of Brisbane's modern city skyline, the 17 hectare parkland has offered fun, world-class entertainment and excitement to over 50 million visitors. South Bank is also home to the Queensland Museum and the Queensland Art Gallery. With magnificent artwork and completely interactive displays, these two venues cater for a large range of art admirers and cultural connoisseurs. Stay in our Kangaroo Point hotels and walk along the Kangaroo Point cliffs and see Brisbane from its best angle, or climb the Story Bridge with Story Bridge Adventure Climb. 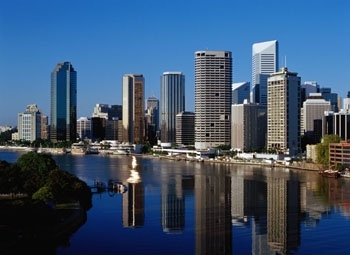 Brisbane is without doubt considered Queenslands sporting mecca, Brisbane Rugby, Brisbane AFL, Brisbane Soccer and Basketball are all extremely popular, and the city attracts the cream of the countries international events. If you’re heading to Brisbane to see a sporting event, we have a huge range of hotels near Suncorp Stadium and hotels near the Gabba. And if youre in from out of town for a Conference or Trade Show, or going to watch a Brisbane Bullets game, we also have a huge range of hotels near the Brisbane Convention Centre.